Work matters! 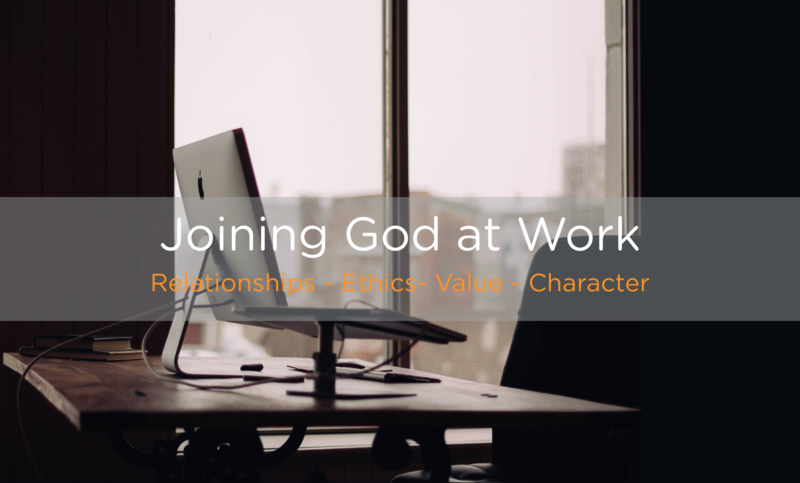 We believe God is at work in the workplace. God is a missionary God, at work in the world redeeming, reconciling, and making all things new in Jesus by the power of the Holy Spirit, and God wants us to join in? Sounds exciting right? But this truth begs the question, how? How do we join with God in what he's doing in our work? Ethics: What is God doing in moments and situations of ethical tension in your work? God desires to sow seeds of justice in and through your work (Hosea 10:12), and he wants us to join in (James 3:18). As Jesus followers, when we encounter situations of ethical tension in our work, our posture should be one in which we are ready to act justly, love mercy, and walk humbly with God (Micah 6:8). We have to trust that God has put us in those situations to participate with him in bring change, and cultivating justice that will grow to love in that environment. Relationships: What is God doing in the lives of the people you work with? Value: What value is God cultivating through the work you do? God is redeeming, reconciling, and recreating the world all around us. God is making all things new in Jesus by the power of the Holy Spirit (2 Corinthians 5:16-21, Revelation 21:5) and God wants us to partner with him through our work (Ephesians 2:10-12). Your work has value, in God's kingdom. Work that is in concert with God's kingdom purposes (hope, love, peace, safety, flourishing, abundance. etc) has inherent value, and when we preform it we are aligned with God's intentions for the world. Character: Who is God forming you through your work? God is forming us in our work. Work is hard, it is full of struggle and tension, and it demands a trusting relationships with God. God is forming us into who he has made us to be. Whether work is tuff or exciting we need to pay attention to the ways God is challenging us to grow to be like Jesus, and lean into that. This framework gives us a vision of where the nexis between God's work and our work exists. If we have the courage to listen to what God is doing, and join him we begin to see how our work in incorporated in God's mission, not absent from it. Learn more about how following Jesus influences our work. *These categories are derived from the work of Dr. Amy Sherman in her book Kingdom Calling.